As per the reply received from the NHAI for a RTI filing, commuters need not pay the toll if the waiting time exceeds 2 minutes 50 seconds to cross the toll in a queue. The next time you are on national highway anywhere in the country and have to wait for a long then three minutes to clear a toll; do not pay it. While that may seem too good to be true to the millions of commuters, it certainly is true and in fact approved by the law. 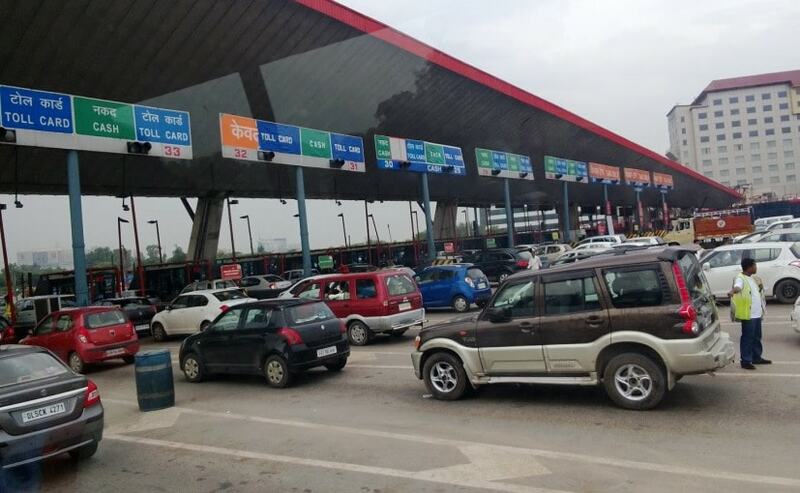 As per the reply received to an RTI filing by advocate Hariom Jindal from the National Highway Authority of India (NHAI), commuters can pass the toll plaza free of cost, should they spend over 2 minutes and 50 seconds waiting in the queue. 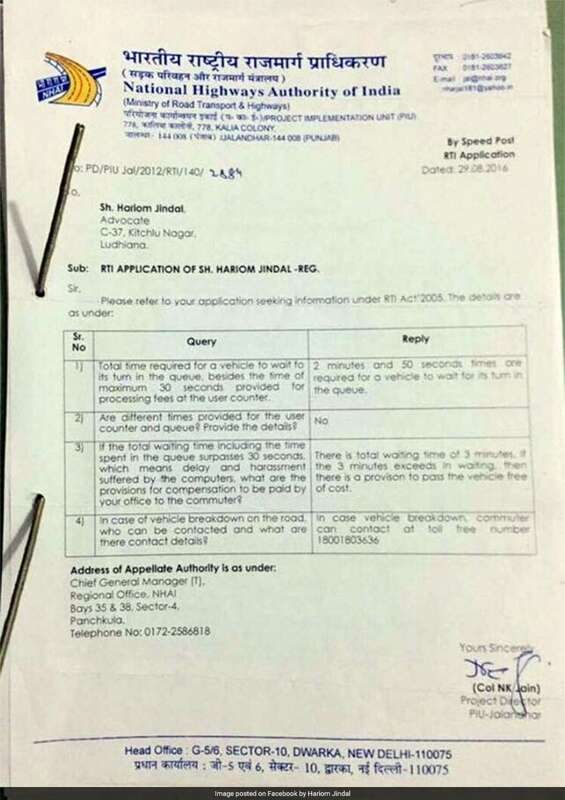 The reply to the RTI from NHAI reads, "There is total waiting time of 3 minutes. If the 3 minutes exceeds in waiting, than there is a provision to pass the vehicle free of cost." The reply further says that "2 minutes and 50 seconds are required for a vehicle to wait for its turn in the queue. Toll plaza hassles aren't exactly new and most of us have suffered from being stuck in long queues for countless hours. This is an absolute waste of the commuter's money and taxes, while we still have to pay at the toll. For most commuters, it's not just about waiting at the toll but also poor road conditions, lack of infrastructure and paramedic response that is, in most cases missing from the national highways. While the rule may be applicable on most national highways of India, the highways that are based on Built-Operate-Transfer or Toll Collection contracts, do not necessarily fall under the purview of this rule. There are no formal guidelines for state highways and that may be disappointing for a lot users. So, it is likely that places like the Bandra-Worli Sea Link in Mumbai or the Mumbai-Pune Western Express Highway will not fall under this rule. That said, it is advisable for commuters to carry proof in case of a delay when approaching the toll plaza on national highways. The next time you end up waiting longer than usual at a toll plaza, you can refuse to pay the amount.